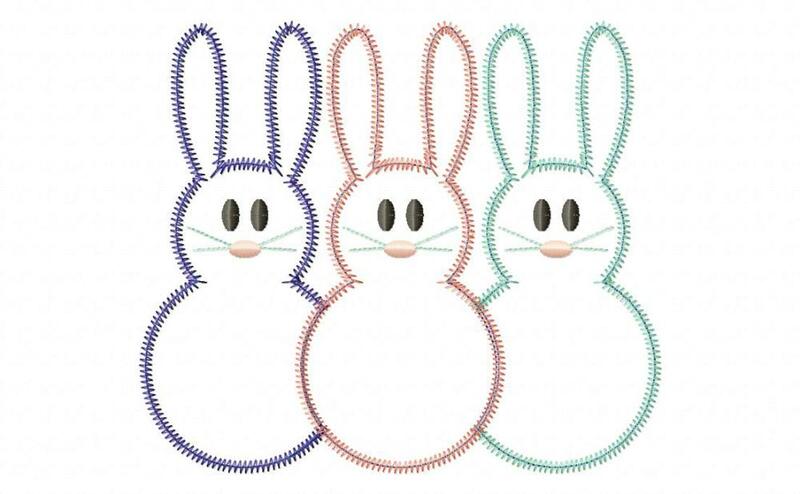 3 Simple Bunnies, Zig Zag Stitch Applique - 4 Sizes! HIP & HOP… mix and match…. ADD A MONOGRAM! Alphabet is not included. Bows are shown as an example. Simple Bunny Face Applique - 4 Sizes! Finish Size 5.11" X 5.88"
Finish Size 6.28" X 7.24"